Want to find more customers who have a need for your service? Lead generation is the act of generating prospective customers. Contractor lead generation has grown in popularity and helped fuel growth for many contractors. For contractors like you, it’s critical to attract new clientele. Let us help ensure a secure future and give your business the extra boost that it needs. What is contractor lead generation service? Simply put, a lead is someone that’s interested in the service(s) you have to offer. Instead of having to network yourself, you can hand over the headache to Contractor Marketing 911. We will provide you with qualified leads that you can close on. How do you know if you’re working with a good lead provider?  Contractor Marketing 911 will explain your leads and make helping your business our main focus. We take our level of professionalism seriously so you understand the process and we can answer any questions you may have. Ready to take on more projects? If you’re ready to open the floodgates of contractor lead generation, there’s only one more step left to take. Contact our team here at Contractor Marketing 911 at 570-794-5089 to discuss your needs specifically. This will allow us to show you exactly how we can help you take your business to the next level.